The State Opera from Prague, Czech Republic, will offer two evening performances of Bizet’s Carmen at the opening of Thurn und Taxis Palace Festival Regensburg on Friday, 15. 7 and on Saturday 16. 7. 2016. 2016. All performances start at 20:30. 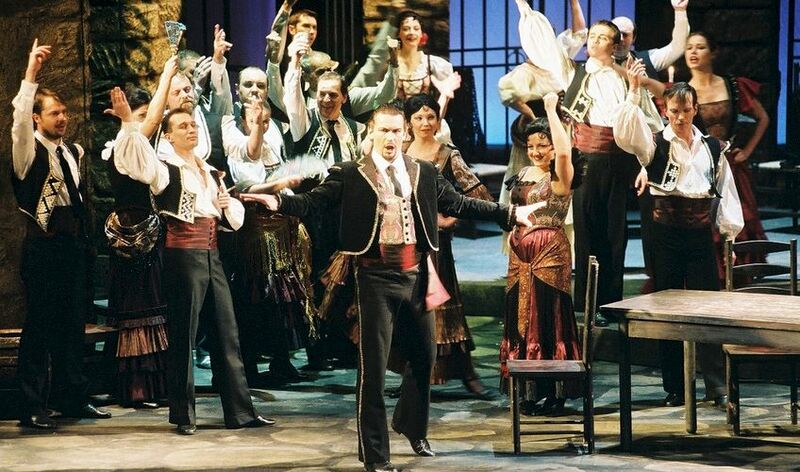 Carmen has conquered opera stages worldwide and become one of the most frequently performed operas. The title role will be sung by Veronika Hajnová and Jana Sýkorová, Don José will be Luciano Mastro ane José Maria Iriarte, the role of Escamillo will be performed by Martin Bárta. The State Opera Orchestra will perfom under the baton of Tomáš Brauner. The top-level acts and performances of Thurn und Taxis Palace Festival Regensburg attract over 30,000 visitors to St Emmeram Palace, the ancestral home of the Princes of Thurn und Taxis in Regensburg, every year. The auditorium created in a historical castle courtyard can seat up to 3,200 spectators.